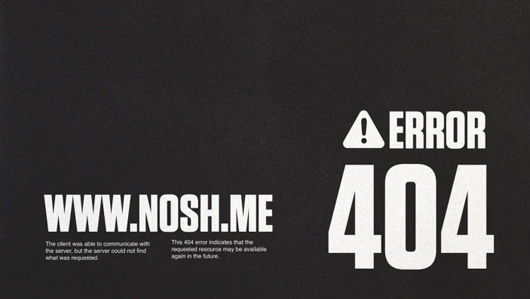 Nosh.me 404 Error Page | Shelby White - The blog of artist, visual designer and entrepreneur Shelby White. I have to say, the world needs more creative young designers who are able to make something so simple yet still so aesthetically pleasing and fun to look at. On a side note, I think I’d have no use for the internet if it weren’t for the wanken and iso50 blogs.